The Gaulitanus Choir proudly presents the 12th Edition of the Gaulitana: A Festival of Music which runs in Gozo during the last week of March and the month of April and culminates with Bellini’s opera Norma on Saturday 28th April, 2018. This annual festival will feature an intensive programme of events. 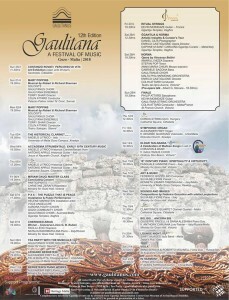 With local and international artists performing during the Festival, Gaulitana promises to be a mixture of some of the finest music. Events are held in the island’s most distinguished venues including Cittadella, Palazzo Palina, Ministry for Gozo Hall, Ggantija temples and Rotunda church in Xewkija, amongst other venues. All events are free of charge except the Tea Party with the Musicals, Id-Dar tan-Nanna and Norma Opera. The Festival commences with an art exhibition which includes around 30 pieces including Rovati’s paintings, table and sculptures. The highlight of the exhibition is the triptych “Insegnamenti” (1978) or the “Cenacolo” depicting the Last Supper. This work displays a figure of Jesus in the centre teaching the 12 apostles, equally places on either side. The Exhibition will be held by the Istituto Nazionale d’Arte Contemporanea with Gaulitana Festival and in collaboration with the Montpellier University “Paul-Valery”. The exhibition lasts till 29th April, 2018. Other events inc lude a concert version of the musical Mary Poppins held in Palazzo Palina in the village of Sannat on Easter Day and Easter Monday. Gaulitanus Choir and soloist will participate in this concert. The Music arrangements are done by Maestro Colin Attard and the director is Terry Shaw. Gaulitanus Choir will take part in this event. The festival featuring a number of musicians playing a variety of different instruments during a performance in the different events held during the Festival. 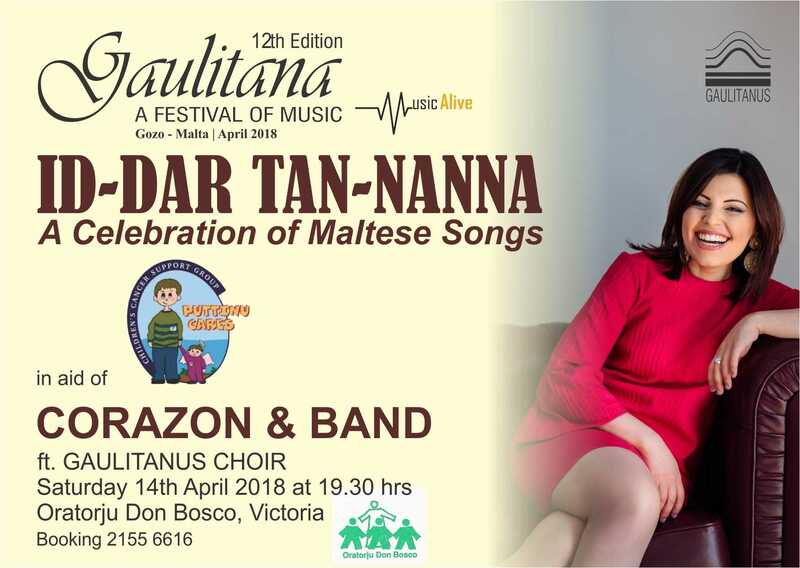 A concert entitled Id-Dar tan-Nanna, a celebration of Maltese Songs with the participation of Corazon and Band and Gaulitanus Choir in aid of Puttinu Cares will be held on Saturday 14th April, 2018. The highlight of the Festival will be Bellini’s opera Norma being held at the Aurora Theatre in Victoria. Maestro Colin Attard will direct the Malta Philarmonic Orchestra and the Gaulitanus Choir. Bellini’s Opera will be part of the Opera Weekend which includes a multifarious programme of events concluding Gozo’s main classical festival. 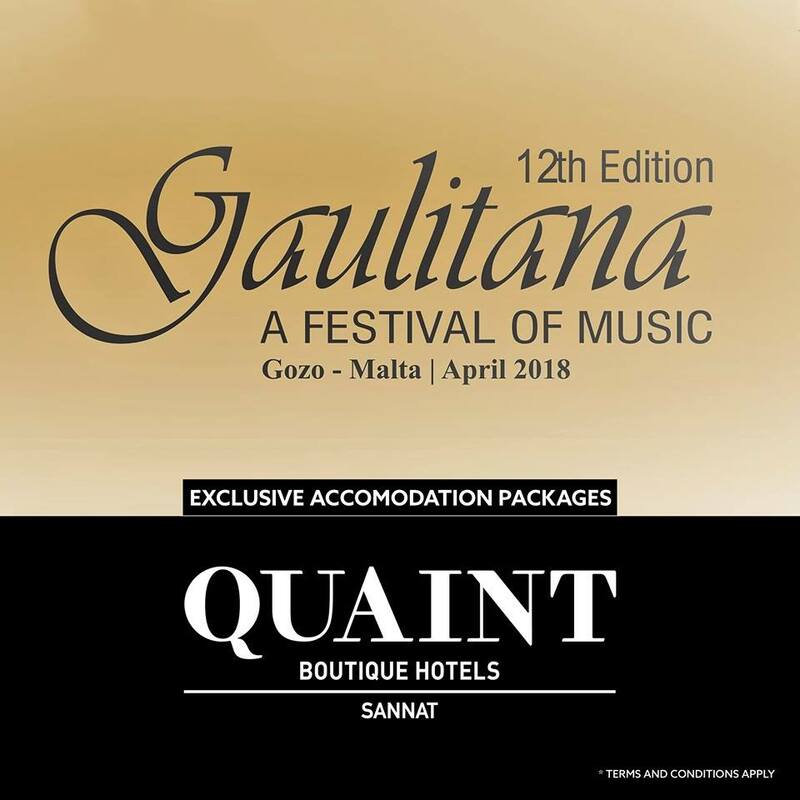 Quaint Boutique Hotels (Sannat) is the official boutique hotel for the Gaulitana Music Festival 2018. Musical Tea Party on Sunday 8th April, 2018. Id-Dar tan-Nanna ft. Corazon and Band and Gaulitanus Choir on Saturday 14th April, 2018. 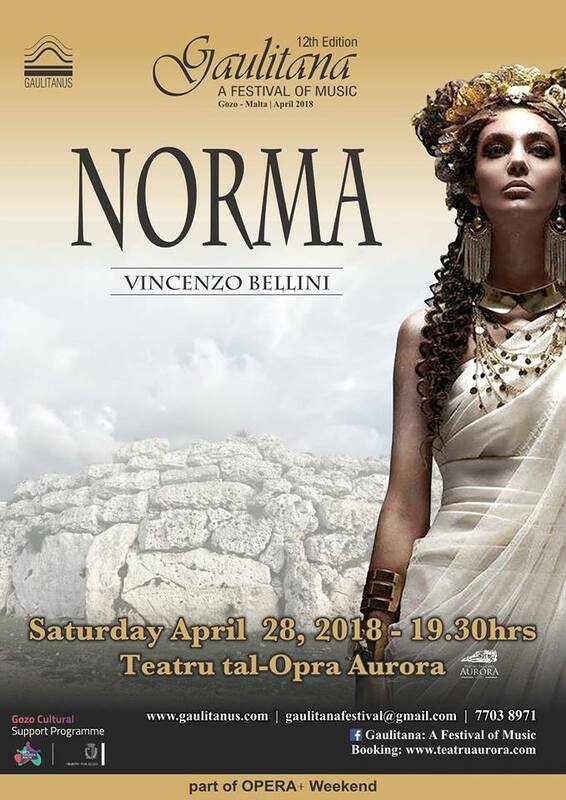 Norma Opera on Saturday 28th April, 2018. For further assistance on our exclusive packages, kindly email us on reservations@quainthotels.com or call us on (00356) 2210 8500.